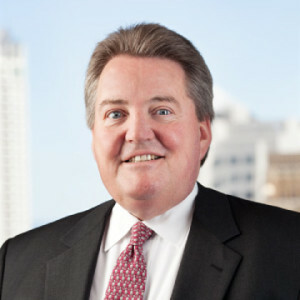 Bob Landaas first built a reputation for objective, plain-spoken investment advice as a frequent guest expert on a popular Milwaukee radio show. Then producers approached Bob to host his own weekly call-in program, through which Bob became a Saturday-morning fixture for nearly two decades. Bob was drawn to investment advising as a way to use his economics training to help other people. He began his practice near the end of what was then the longest downturn since the Great Depression. Changes in brokerage regulations launched the discount brokerage industry and opened up alternative investment vehicles. And Bob established himself independent from the dominant Wall Street firms. The following that Bob had cultivated first by knocking on doors and calling on strangers then mushroomed with his TV and radio work. Not only did fans entrust Bob with their money, but several came to work with him as client-focused professionals seeking to contribute to Landaas & Company. Bob is a graduate of Millikin University where he majored in economics, political science and philosophy. He also studied economics at the University of Vienna, in Austria. Bob and his wife, Kathleen, enjoy sailing on the Great Lakes, tending to their horses and spending time with their grandchildren.